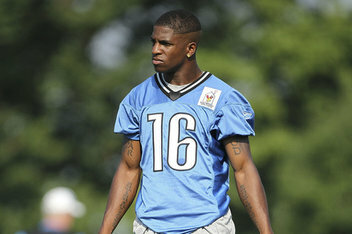 One player it won’t be is Titus Young. 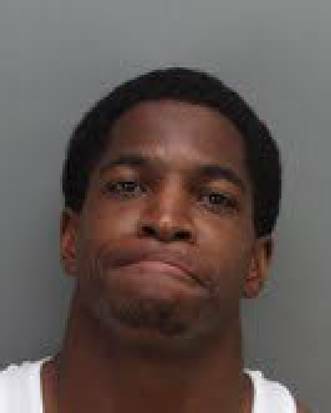 Young was arrested TWICE in the same day over the weekend (5/5/13). The first arrest was early morning, when the Riverside County sheriff’s department in Moreno Valley CA witnessed Young driving his Mustang the wrong way down the road, and make an illegal left hand turn. He was arrested on suspicion of DUI, and his car was impounded. Young was released, and 14 hours later was caught climbing over a fence trying to “remove” his car from the impound lot without paying, he was booked on suspicion of burglary and arrested again! The 23-year-old free agent’s time in the NFL has not been short of conflict, and this will just add to it. Young was drafted 44th in 2011, by the Detroit Lions , and was released this past off-season, picked up by the Rams in February, and quickly released…so alledgely drinking, driving, and trying to steal back his car is how fills is free time now that he’s unemployed. Wow, this guy is a gem…I almost forgot to mention Young is a “Sr.” which means he has procreated! ….poor kid. This entry was posted in NFL, sports, Uncategorized and tagged Detroit Lions, NFL, St. Louis Rams, Titus Young. Bookmark the permalink.